From time to time, Renee enjoys making advertisements for Wiggins brand. She has a background in digital design work, photo restoration and photography, so when she has nothing else to do, she plays around with digital imagery. 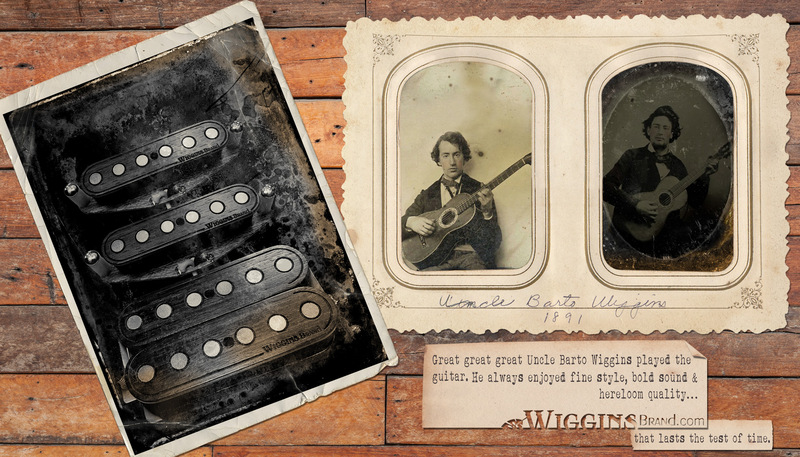 This ad came about from Renee playing with some old digital daguerreotype and photo paper textures and a set of our humbuckers. Kinda looked cool, so we thought we'd make a story out of it, and the ad was born! William recently acquired one of his mother's oldest photo albums with a lot of really cool vintage family photos in it. There really was an "Uncle Barto Wiggins"! The arched border detail and handwriting detail is real from the book; probably even from his mother's hand, but, our story required a guy playing guitar from the time period. The gentleman in the photos below (which bears an uncanny resemblance to William, I think! ), was not, however, the real Uncle Barto ~ they were grabs from the internets. Though he was a fetching young man too....we'll never really know if our Uncle Barto actually played the guitar. All other elements in the ad......the typed paper, the wood floor, the photo edging and tinting....all are magically digitized elements. 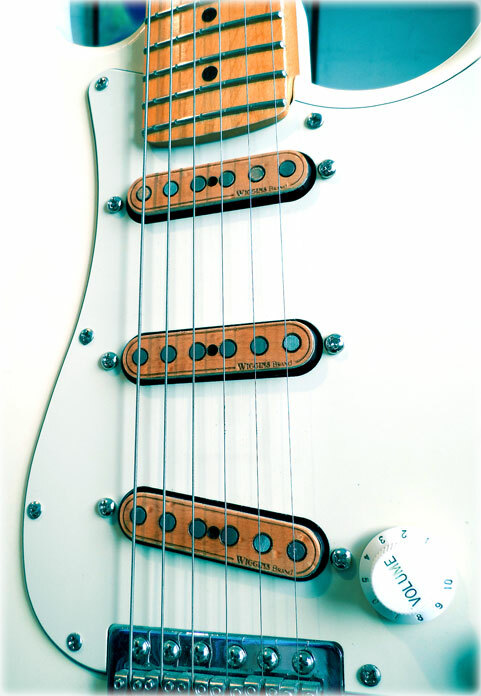 subscribe here: "Know Your Gear"